They aren't 'budget' or 'cheap'. 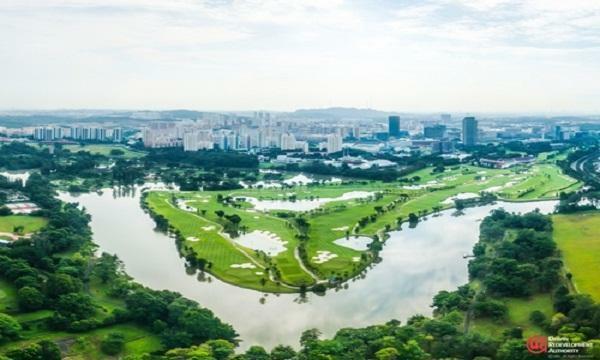 According to AsiaRooms.com’s recently released global traveler confidence index, respondents in Singapore spent an average of USD114 or S$144 on staycations in the past12 months, so these recommended hotels would fit the average Singaporean’s budget quite perfectly. AsiaRooms.com, a travel accommodation site in Asia notes that these are not specifically “budget” or “cheap” hotels. "AsiaRooms.com would like to steer away from the use of these terms which might indicate that they are somewhat inadequately equipped/serviced in some way, but instead, these hotel rooms are star buys that rate between 3-5 stars and can be booked at “great value” or “at a steal”. According to AsiaRooms, many of them have been recommended because they are new, or are unusual finds due to their unique designs that offer guests a different experience from other hotels. All these hotels offer free wifi. As 32% of survey respondents in Singapore spent between 1-3 nights on domestic accommodation for leisure in the past 12 months, these services might prove indispensable to locals looking for a quick, short respite from the office. Changi Airport is about a 20-minute drive from the hotel. Nearby attractions include Fu Lu Shou Complex, Bugis Street Village, Bugis Junction Shopping Mall, National library and Singapore Museum. All rooms feature free WIFI, a plush Serta bed with the fluffiest pillows, ensuite bathroom with rainshower, an in-room tablet that allows guests to control the room's lighting, air conditioning and other media features. Free movies can be enjoyed on the large flat-screen TV. Situated within the central district of Novena, the hotels are a mere five minutes’ drive away from the Velocity & United Square shopping malls & office towers & the Novena Medical hub. The Orchard Road shopping belt, Marina Bay Financial area are conveniently located just 10-15 minutes by taxi, whilst Resorts World Sentosa, Universal Studios & Changi International airport are a half-hour taxi ride away. All rooms are decorated in a modern avant-garde & children below the age of twelve stay for free if using existing bedding. Location: Conveniently situated near the Singapore financial district, it is close proximity to various MICE venues such as Marina Bay Sands and Suntec City Convention Centre. The hotel integrates old conservation shophouses with modern architectural style. 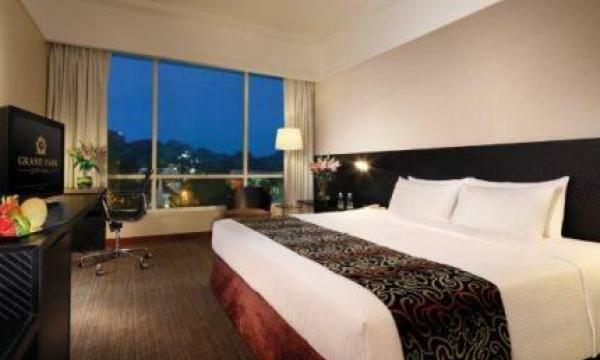 The rooms combine elegant finishes with modern amenities, featuring views of either Fort Canning Park or Clarke Quay. The hotel offers a lineup of stylishly designed guestrooms and suite rooms, reflecting the iconic pop culture of the 60's and the 70's through its amazingly painted walls and chic furniture. It is conveniently located near Singapore's Ethnic District - Little India, Central Business District, City Square Mall at Farrer Park and 24hrs Shopping Complex - Musta fa Centre. The hotel is in the centre of Farrer Park, Boon Keng & Lavender MRT stations, takes only 10 minutes walking distance from each of the station to the hotel. Location: Strategically located in Changi Business Park, next to Expo MRT station and is within walking distance to Singapore EXPO convention and exhibition centre. Bedrooms come with spectacular views of the Esplanade, the Singapore River and the business district skyline, and the tranquil greenery of Fort Canning Hill. The hotel is about 25-minute drive away from Singapore Changi Airport, a 15-minute bus ride to the shopping haven of Orchard road and 10-minute bus ride to Novena Square and Velocity shopping malls.